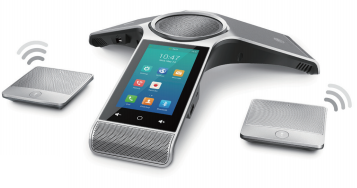 The Yealink CP960 Conference Phone with two wireless microphones is an Android-based voice conferencing unit that allows medium to large conference phones the ability to communicate with crystal-clear audio quality. You can add an external microphone or connect wired and/or wirelessly with smartphones, PC's, tablets via Bluetooth, or by using a Micro-B USB cord. This Y-shape conference phone features an elegant design that makes it easy to pick up the audio in the room all while eliminating ambient noises and noise with noise-cancellation technology. With the CP960, up to five parties can join a conference call from different locations. In the Yealink Pentagon Meeting Room, you can create a meeting directly and invite or allow someone to join the ongoing meeting seamlessly. Its Active Speaker feature helps you easily recognize who is speaking during the meeting. Pairing the Yealink CP960 with your smartphone via Bluetooth or with your PC/tablet via USB Micro-B port allows you to turn the Yealink CP960 into a loudspeaker or microphone with ease. 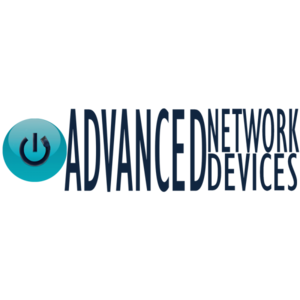 In addition, after successfully pairing, you can merge all these three devices, your smartphone, PC/tablet, and IP conference phone CP960, into one hybrid UC meeting. The CP960 can also be used in a large training room by connecting it to an external loudspeaker via 3.5mm audio-out port, and it supports local and USB call recording with local available recording time up to 100 hours. CP960 also available without expansion microphones.